Closing date for online entries is 27th June 2014 at 5pm. 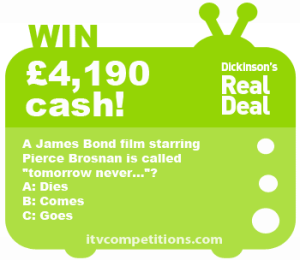 A James Bond film starring Pierce Brosnan is called “tomorrow never…”? Enter 3 times per phone number.